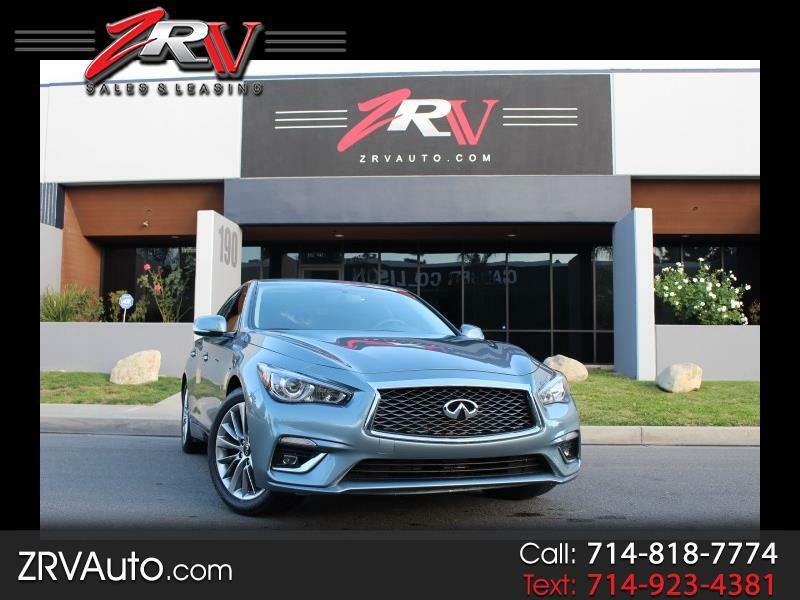 2018 INFINITY Q50 3.0L V6 TWIN TURBOCHARGER LUXE EDITION AUTOMATIC 7 SPEED TRANSMISSION. CLEAN TITLE, NO ACCIDENTS, TEAL EXTERIOR, BLACK LEATHER INTERIOR, PUSH TO START, TELESCOPIC STEERING WHEEL, VOICE ACTIVATED INFOTAINMENT SYSTEM, BLUETOOTH/ USB/ AUX INPUT MP3 PLAY BACK, PREMIUM BOSE SOUND, MOON ROOF/ SUNROOF, ALL SEASON RUN FLAT TIRES, RAIN SENSING/SPEED SENSITIVE WIPERS, REAR VIEW CAMERA, EXTERNAL TEMPERATURE AND MUCH MORE! !